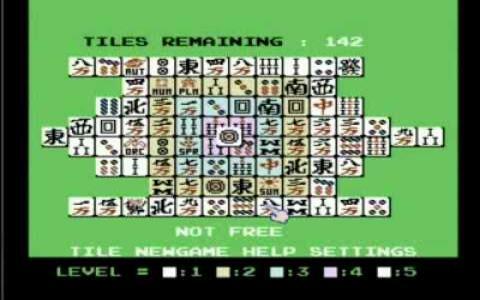 Shangai was a game released in 89, so, considering its age, the fact that it managed to recreate quite faithfully a tile arranging and strategy game of this complexity was a very good start. However, there are a few issues that need to be considered before you go and have a go. First of all, the tile sets are quite small. This can make it harder at times for you to read the symbols, which, for the scope of the game is essential. 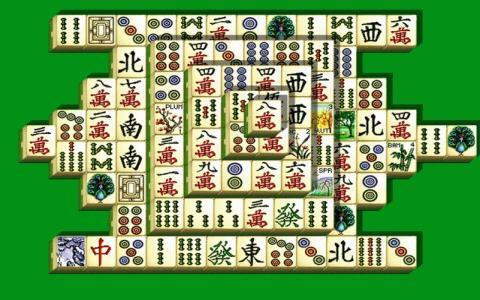 Also, the cursor, the hand with which you pick the tiles seems to be a little slow. This can be a bit frustrating for those that want more immediacy in their current game, but it can also be a deterrent from moving too fast, thus allowing you think your every move more carefully. At any rate, say you like the game but would like a graphically improved version, Shangai 2 definitely will feel like a better version. That is not to say that Shangai is a broken game, not at all, with all the provisos mentioned, this is just as playable as the later simulations, and it might have some appeal that is missing from later games, but for me, the later versions are simply more ok visually. Especially for play sessions that can extend for longer periods. So, there you have it, Shangai is an ok simulation, but you have to get used to its control quirks first.